In the first week of widespread action across the state (still primarily indoor), we have already experienced some truly impressive early-season performances, not the least of which includes Minnesota's top female sprinters Shaliciah Jones and Maelea Harmon at the MSU-Mankato Showcase on Saturday. In the end, it was Jones who stole the show with times of 7.58 in the 60 meters (just ahead of Harmon's 7.62) and 25.16 in the 200m. Both performances barely missed the MSU Showcase records originally set by Minnesota's All-Time 200m record holder Jedah Caldwell. 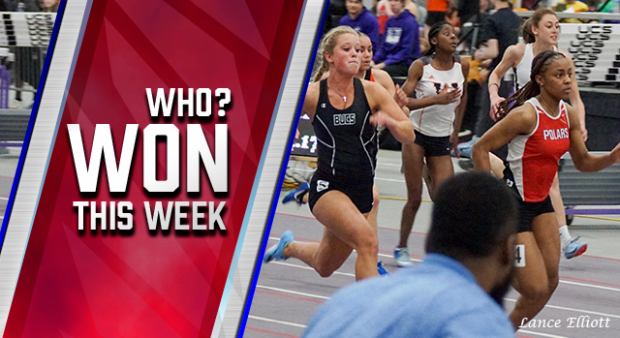 Check out the rest of the top performances of the past week!